Finding and Engaging Relevant Hashtags — RISE Creative Co.
Hashtags seem to be a topic of debate. Are they really helping your engagement? How you can leverage them to increase your reach to your target audience? While many great platforms such as Iconosquare exist to outline which of your hashtags are most successful, we have a DIY process that will help you find the most relevant and useful hashtags to use to ensure that your target audience is viewing your content. All you need is a pen, paper, and about 20 minutes of your day. Step 1: Write out all “keywords” that you feel best represent your brand. For example, “ethical fashion, sustainable fashion, organic skincare, green beauty,” etc. Step 3: Click on the hashtag you plugged in and an entire page of content will come up. First, examine the number of posts that fall under that hashtag. If it is a popular tag, you know that a large audience is looking for content that resonates with that tag, therefore, it is probably a good fit. However, you may want to stick to keywords that are not over 1 Million posts because you post can easily get lost in that much content. I try to stay between 50,000 – 300,000 posts. Step 3: Next, look at the “related” bar, where you can see words that relate to the keyword you originally input. Step 4: Begin to click through the related hashtags, and make note of the ones that would benefit your brand. There you have it! Pretty simple! Finding keywords that best represent your brand, plus keywords related to similar content will help to draw your target audience to your posts. Now, to ensure that your posts are being seen by that target audience, and to really engage with them, the next trick is pretty easy. Once you have begun posting hashtags with your content, you’ll want to click through those hashtags, back to the page that we saw in Step 3. Scroll through all of the content under that hashtag, and create genuine conversations with the owners of those accounts. 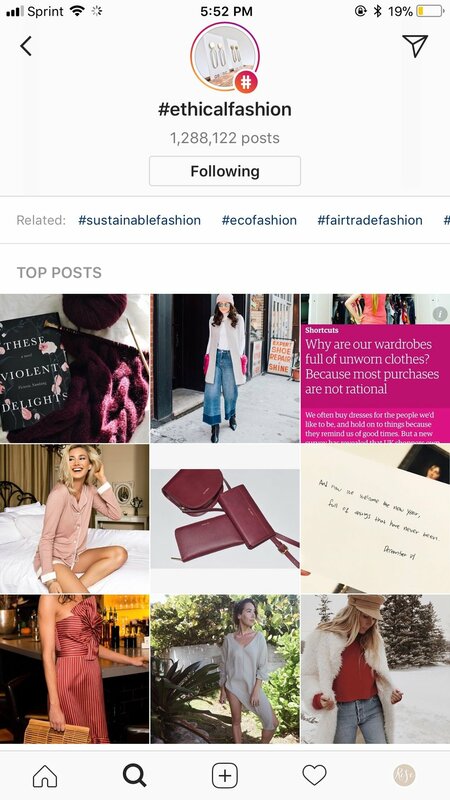 Interacting on a daily basis with your target hashtags, their users, and their audience, will help Instagram link your account to those hashtags, and that type of content, ensuring that the audience of those tags are seeing your posts.